The FD340 Digital Ultrasonic Flaw Detector combines HUATEC' industry leading conventional flaw detection capabilities with the efficiency of a highly portable, intuitive instrument. 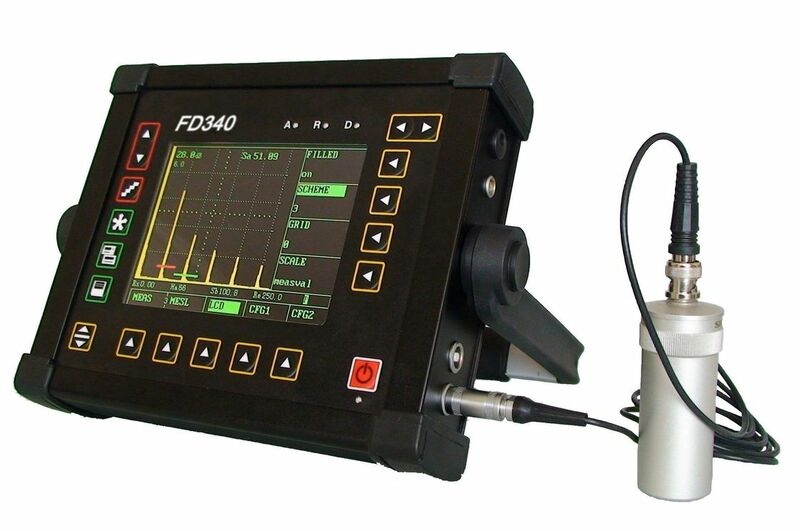 The FD340 flaw detector's blend of efficient menus and direct access keys allows you to take advantage of the highest quality flaw detection platform with exceptional ease of use. • Simple to use, quick to operate, from basic to challenging inspection re­quirements. 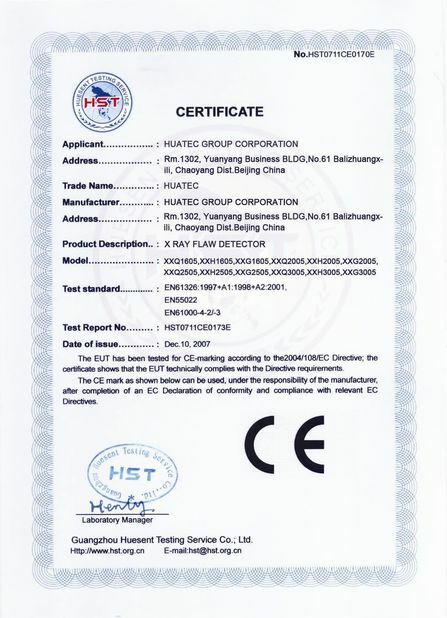 • From high frequency inspections for thin materials up to low frequency for attenuative materials. • From automotive, power generation, oil and gas to aerospace applica­tions. Gain:0 to 110 dB adjustable in selectable steps 0.5, 1.0, 2.0, 6.0, 12.0, user definable, and locked (step 0). Zoom Expands A-scan display area for increased screen resolution. Magnify:Expands area within the selected gate over the entire display range for increased A-scan resolution. Digital display of sound path (projection distance, depth) between initial pulse and the first echo in the gate, or between the echoes in the two gates, with selectable echo peak, echo flank or Japanese echo flank detection. • Extended temperature range from -10℃ to 60 ℃. • Weighs only 2.0 kg. • Extended battery life to 12 hours under real test conditions. Test blocks DAC, ASME etc.